Amazon wants to dominate another market, and a major airline drops a hub city. Those and more are what's in stocks news Wednesday. The Dow industrials (^DJI) fell 76 points, the S&P 500 (^GSPC) lost 9 and the Nasdaq (^IXIC) dropped 20 points. Amazon.com (AMZN) is reportedly planning to expand its online grocery business. Reuters says it's been testing the concept in Seattle for the past five years, and will begin expanding to other cities as soon as this month. This could pose a major challenge to supermarket chains Kroger (KR) and Safeway (SWY). Delta Air Lines (DAL) is dropping Memphis as one of hub airports. The company says the smaller jets used there are too expensive to operate. 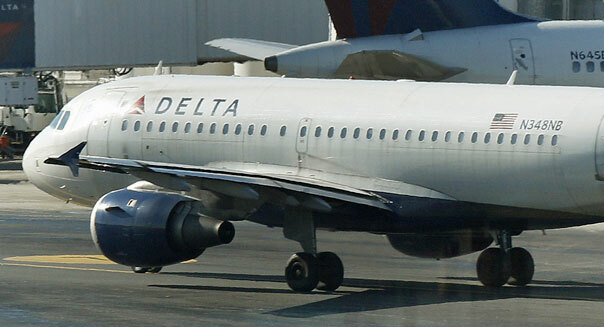 Memphis is the smallest of Delta's eight domestic hub cities. Score one for Samsung in its on-going legal battle with Apple (AAPL). The U.S. International Trade Commission ruled that Apple violated a Samsung patent, and the panel banned Apple from selling certain iPhone and iPad models. Most of those items are older models, but Samsung could seek to extend the patent ruling to newer items. But as of now, the ruling doesn't cover newer models, such as the iPhone 5. President Obama has 60 days to consider a veto of the order, and Apple says it plans to appeal. Restaurant-chain Bob Evans Farms (BOBE) easily beat earnings expectations, while shares of Mattress Firm Holding (MFRM) are set to bounce after reporting better than expected results. You no longer have to be a couch potato to follow your favorite pro-football team. Verizon Wireless (VZ, VOD) has agreed to pay $1 billion to air Sunday afternoon games on smartphones. That extends an existing agreement that allows Verizon to carry three night games each week. The market has been pretty volatile during the past week or so, and you can expect that to continue Wednesday ahead of the release of the Federal Reserve Beige Book report at 2 p.m. Eastern time and Friday's monthly employment report. Check back after the market closes Wednesday for the new DailyFinance closing bell report. What Happened: MasterCard's rank flew up nine spots this year to the 20th most valuable brand in the world, and Millward Brown VP Oscar Yuan attributes that ascent to "the growth of mobile technology." As consumers up their online shopping habits, brands like Mastercard and Visa reap the rewards for offering noncash payment methods. What Happened: "They're really into the big data," Yuan explained of the German tech brand, "So [the increase in value] is reflective of a consistent storyline: The growth of mobile shopping." SAP has the big data solutions enterprise companies need. What Happened: Walmart, however, has mastered the art of brick and mortar shopping. "You can't buy milk online," Yuan said. The retail giant has a large and loyal consumer base that is constantly growing - even internationally. What Happened: Vodafone's 8% drop in value can be attributed to O2 and Orange's recent success. But at almost $40 billion, it is still one of the largest mobile carriers in the UK. What Happened: While Americans might have never heard of the Industrial & Commercial Bank of China, Yuan explains that in its home country, "the logo is ubiquitous." ICBC is the first of two Chinese brands in the top 20, a number which is largely due to the countries growing middle class. What Happened: "I think a lot of the growth is really tied to several consumer trends - and I'm talking about the need for consumers to shop online mobile devices," Yuan told BI. Consumers need to get the products they bought on the internet somehow, and that's where UPS comes in. What Happened: It's almost impossible for brick and mortar shops to compete with Amazon's wide selection, low prices, and mastery of the mobile marketplace - easily allowing consumers to buy anything from anywhere on their phone or tablet. Recent acquisitions of Audible.com and Goodreads also show the company's determination to dominate all aspects of mobile book consumption and sharing. "There's no stopping amazon as they go international," Yuan said." What Happened: After acquiring Wachovia in 2008, Wells Fargo successfully expanded from a California-based bank to a national name. Coming from California also helped Well's Fargo's image with consumers considering that it was one of the few banks to remain unscathed during the financial crisis. "It also started a major rebranding strategy expansion," Yuan said. What Happened: Verizon got a boost after Apple opened its services to carriers other than just AT&T. While Verizon and AT&T's rivalry heats up, Yuan predicts that the competition will up both brands' game. "As data devices continues to proliferate, we will continue to see Verizon do well," he said. What Happened: "GE ... continued to be one of the most well respected consumer and industrial brands in the world," Yuan said. And the public is starting to see that it makes more than just light bulbs. General Electric has dedicated major marketing dollars to making sure that consumers know it produces everything from airplane engines to wind turbines to medical equipment. Hammering in its dedication to innovation, a recent ad campaign even enlisted the help of famous robots. "In terms of B2B, GE is one of the most well respected brands," Yuan continued, citing that it was often used in business school case studies. What Happened: China Mobile is the largest mobile carrier and brand in China, so it's a no-brainer that it's one of the most valuable brands in the world. "There are more mobile phone subscribers in China than in the U.S.," Yuan said. What Happened: A key way to bolster global presence is to sponsor the Olympics. But that's not the only thing that upped Visa's brand value so drastically. As one of the most trusted names in non-cash payments, Visa has gained clout in the world of online shopping and mobile payments. What Happened: Marlboro is a top 10 regular, which goes to show that even though smoking is restricted in the U.S. doesn't mean that the rest of the world has laid off the habit. "Marlboro has consistently invested in the brand ever since its inception," Yuan said. "The rugged cowboy is very strong and consistent globally." To put it another way, "about 25% of world's population are smokers, and they use it 5 to 10 times a day. I don't drink 10 bottles of water a day." That's getting your brand out there. What Happened: As a $70 billion brand, Microsoft is in great shape even in spite of a 9% value decrease. Microsoft is a powerhouse and has a reputation as one of the strongest tech brands in the business. But, Yuan notes, "with consumers, there's confusion as to where Microsoft fits." The company's fortune is largely tied with the PC business, but it has emerged on the mobile scene with the Surface and other devices. The company went through a major rebranding in the summer of 2012 to stay relevant. What Happened: AT&T is another company to gain value due to the increasing U.S. consumption of mobile products. For a long time, the service provider had an exclusive deal with the iPhone, so it became synonymous with the new technology. What's really interesting, however, is that even when Apple opened the iPhone up to Samsung and T-Mobile, AT&T's value didn't go down. What Happened: "What's consistently impressive about Coca-Cola is its ability to innovate," Yuan said. "People think that soda consumption is declining, but Coke is turning the business on its head." For example, this year Coca-Cola released a series of freestyle machines which allows consumers and retailers to mix their own flavors of the soda syrup to make their own individual Coca-Cola. The company is constantly innovating and staying fresh. What Happened: Yuan noted that one of McDonald's gifts was the ability to listen to consumers' sentiments and adapt, particularly to growing health concerns. "It has come out with a much healthier menu with apple slices, oatmeal, and a Chicken McWrap which has done well," he said. McDonald's is also gaining a stronghold in the coffee space, which should be an interesting new endeavor to follow. What Happened: At $112.5 billion, IBM's three percent value decrease is not a substantial figure. IBM is known as a company that consistently delivers year after year, Yuan told BI. And it is particularly hailed in the B2B sphere. Yuan also noted that its Ogilvy-made "Smarter Planet" campaign, in which the company explained its plans to help clients innovate and make the world a better place, inspired consumers to believe in the brand. What Happened: Google has effectively taught consumers that it is more than just a search-based company. With maps, mail, shopping, and more, Google is integrated into everyone's lives. The company also made recent headlines about its new contribution to the hardware world in the form of Google Glass. "It will be interesting to see how Google Glass will contribute to the brand value, but now it's too soon to tell," Yuan said. What Happened: In spite of harsh Wall Street analysis and media speculation regarding Tim Cook's leadership capabilities, Apple continues to be a strong brand in the eyes of consumers - a major value measurement for Millward Brown. "Despite what the press says and stock market says," Yuan noted, "Apple in the eyes of the consumers is the gold standard." Those companies are constantly innovating to stay on the top. [Those companies are constantly innovating to stay on the top. ]The gay pride Oreo, from Kraft's Facebook page.